Our handsomely crafted leather Mini Skinny card case from Big Skinny will make you forever turn your back on old-fashioned card cases. This compact pocket consolidator in tuxedo black has a premium top-grain cowhide leather exterior. The interior is nylon microfiber that's uber-lightweight and durable. 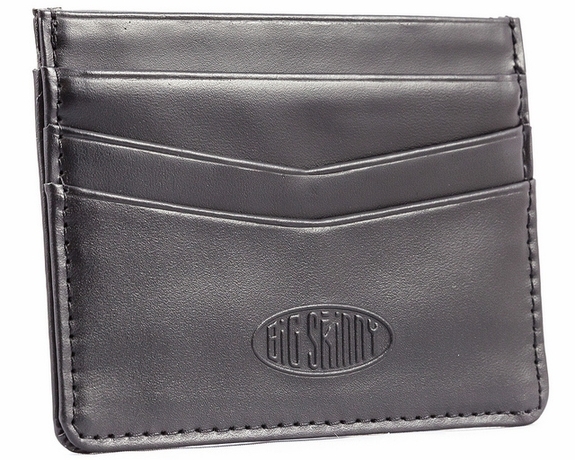 The inside pockets have a non-slip coating to better secure your plastic cards, ID and cash. 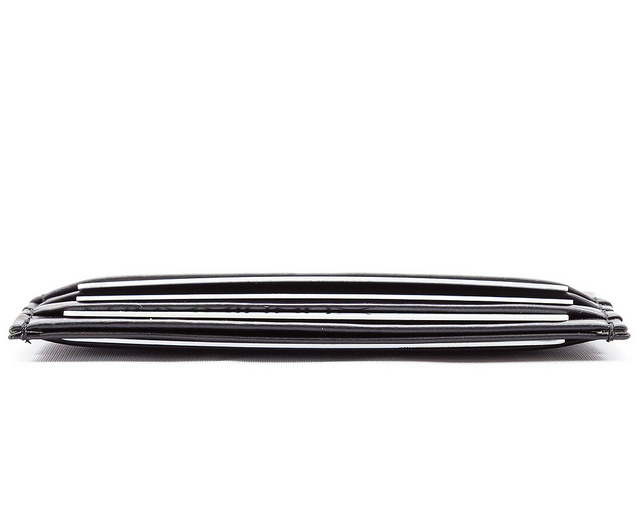 It's a sleek way to hold up to 10 to 12 plastic cards, ID and folding money. Drop it on the floor, and nothing spills out because of the grip pockets inside. 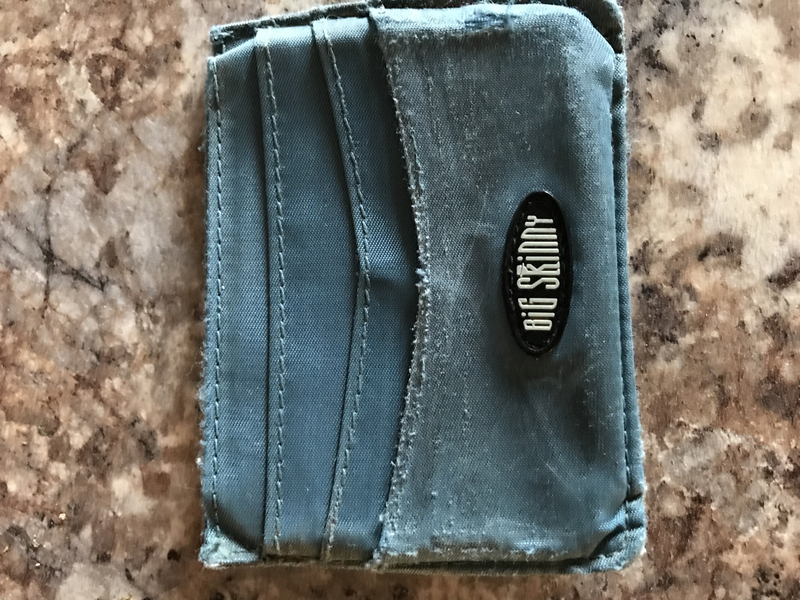 Our Mini Skinny has three extra-wide credit cards pocket, an extra-wide clear ID card pocket and one storage pocket for your cash. How skinny is it? It's only 1/16 of an inch thick when empty. That's 2 mm for you metric system know-it-alls. 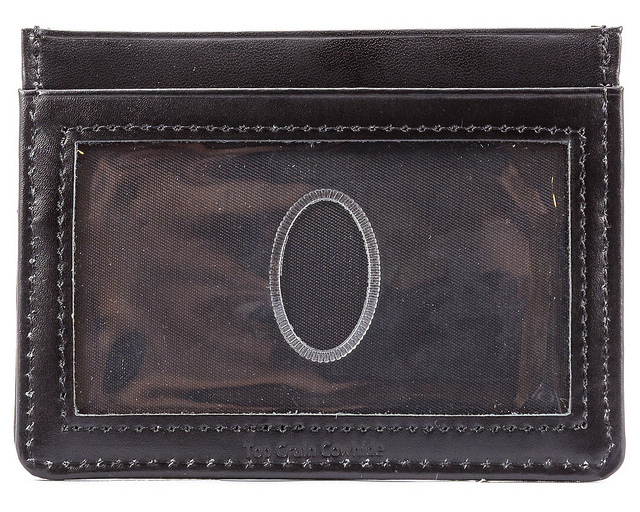 Our leather-hybrid mini skinny card case dimensions are 4 1/8 inches by 3 1/4 inches. 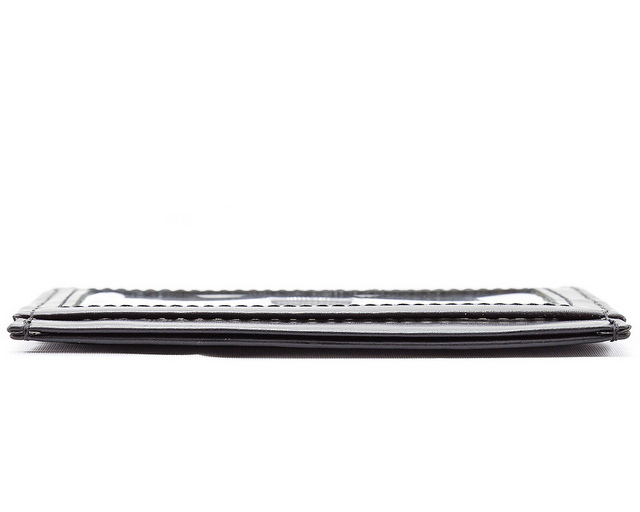 It's as lean and good-looking as a wallet should be, which is why we're America's favorite for contemporary men's and women's wallets. �Only 1/16" (2 mm) thin when empty! 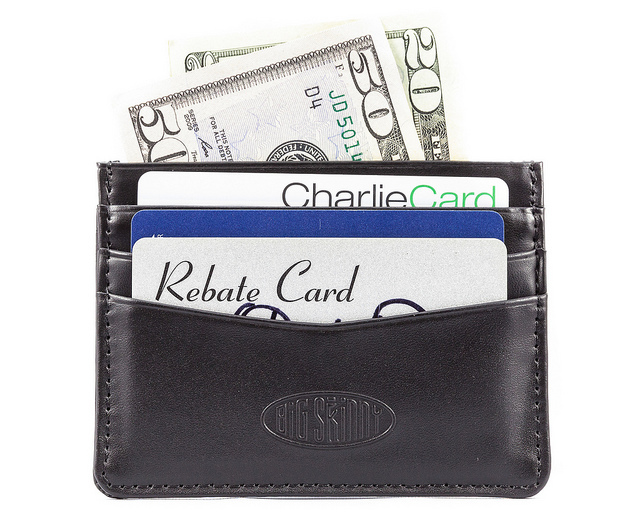 ample card slots and a spot for cash. Don't ever discontinue this model! 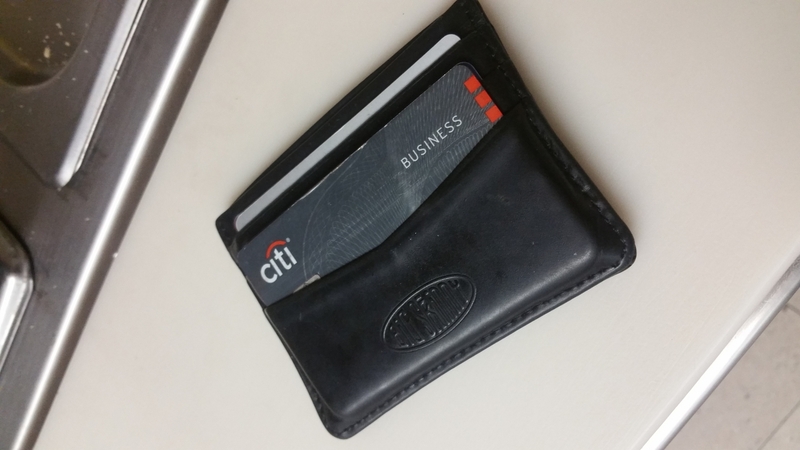 I recently replaced my 20+ year old everyday nylon Big Skinny wallet with this leather mini skinny. 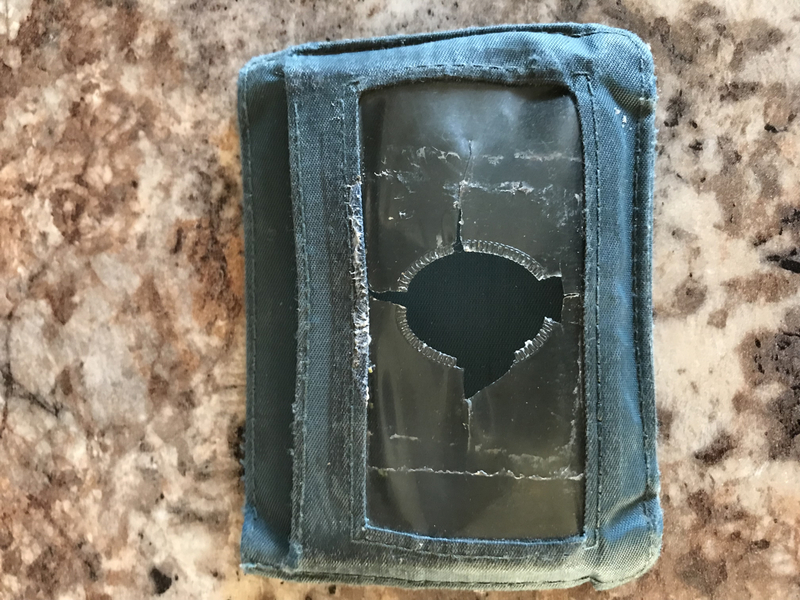 I am keeping my old wallet as it still is held together perfectly and functional, it�€™s just old and funky. I never write reviews, but this product is amazing and the prices are very reasonable. In a world where so much over priced junk is made, it�€™s nice to have something that has exceptional quality. Thank you. Let me preface this by saying I never leave reviews, so here it goes....I ordered this big Skinny nearly 4 years ago( I'll include my invoice.) I bought 2 as a gift but I kept one, I can honestly say I have never bought a better quality wallet. I remember being skeptic about buying it since it was a [. . .] and the company was unfamiliar to me. 4 years later and I couldn't be happier to see the company is still around I'm thinking of buying a new one but honestly the one I have IS IN GOOD SHAPE. The seams are still in tact, stitches are good and the leather hasn't torn or flaked. The clear window is the only thing that shows how old it is. 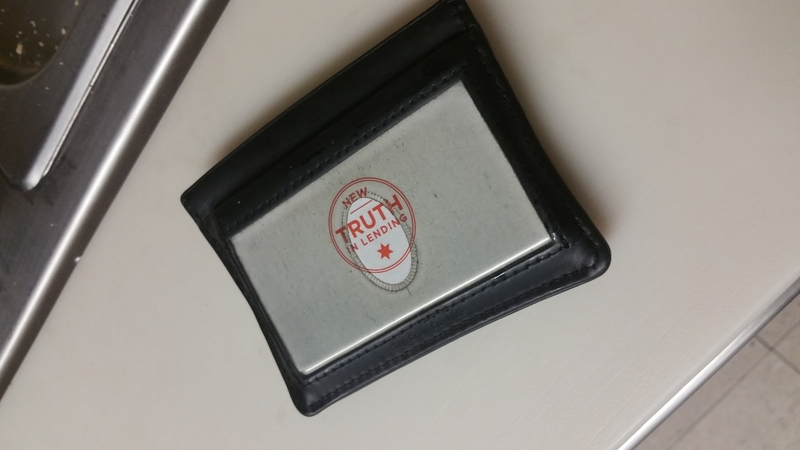 But the wallet as a whole is in great condition even after multipme trips, vacations, and daily non stop use for several years and more to come. Thank you guys for a great product. 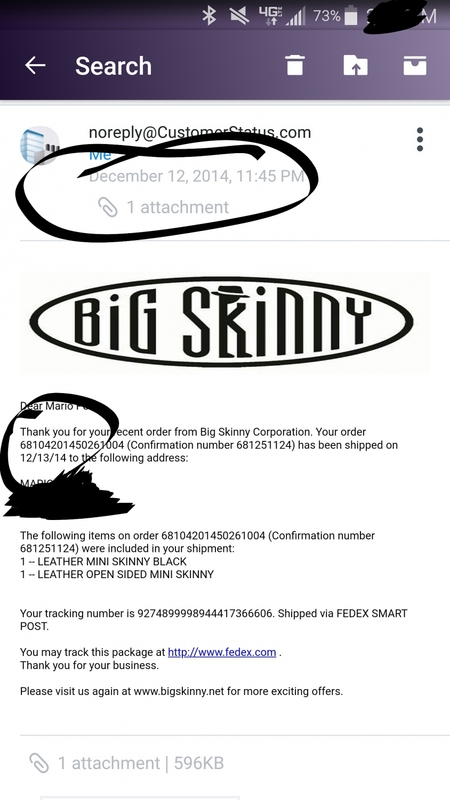 And I'm glad to see you guys are still up and running I hope you have kept the original quality and craftsmanship of the big Skinny I got the first time around. Merchant Response:Thank you for your review Mario! We recommend cleaning the ID window with some white vinegar- Hope this helps :) Wishing you a wonderful summer! ConsThe clear window is hard to clean. and I must say I'm pretty impressed. My wife and have CDL credentials that must be in our possession at all times, and several credit cards etc. and they all fit nice and comfortably. I would recommend this wallet to anyone needing one of this type. ProsPlenty of pockets and roomy for cards and ID etc. ConsCould be a little deeper in front pockets. I have yet to receive the item. Apparently fed ex has lost it. I would appreciate your help if possible. This is an attractive wallet. I previously used one from Wilson's leather which is no longer made. I wish this would hold more cards. It is skinny, but I had to remove 4 or 5 cards from my previous wallet because they would not fit in this one. ConsPretty wide dimensions. My other wallet was more of a rectangle. Wish it would accommodate more cards. I have ordered several of these. Small size, perfect for your pants back pocket. I love these! They are well made and last a long time. This is a great wallet to go lightly into where ever you may be going. I can hardly believe its in my pocket when its truly is. I bought one of these a few years ago and loved it. Sadly I lost it somewhere and bought a new one. The only issue is the center compartment does not have a front opening in addition to the top opening. This makes it very hard to use. I thought the older design was better. 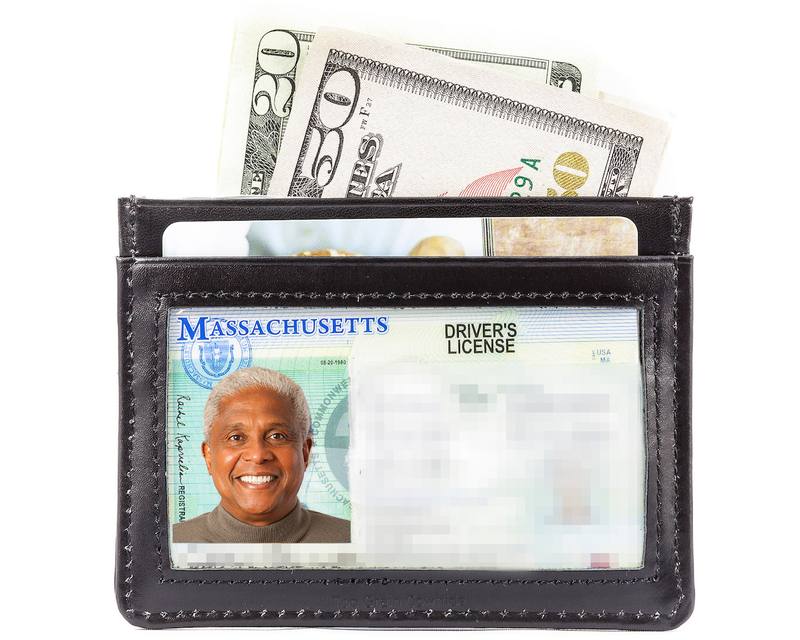 Having come from a non-leather mini skinny, which I loved, I am bothered by the fact that there is a lip under which my ID gets stuck. Since I travel often, I need to pull out my ID to go through the security checkpoints at the airport, and every single time the ID gets stuck under a lip inside of that ID slot. Other than that, I really like the leather version. It looks great and holds everything snug (too snug on that ID).